October 12, 2016 By Todd Burgreen & filed under All Articles, Rifles & Carbines, Weapons. Christensen TFM was tested with a variety of ammunition types to make sure it could handle all with equal aplomb. 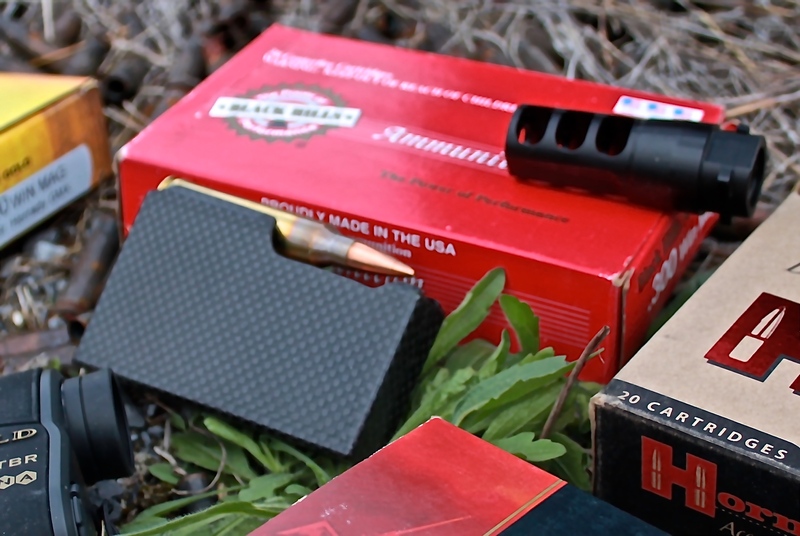 Various .300 Win Mag loadings from Black Hills Ammunition, Federal, and Hornady provided basis for accuracy tests. Any mention of Christensen Arms inevitably brings forth an association with their precision bolt-action hunting rifles featuring carbon-fiber wrapped barrels. Various models of Christensen weapons have been brought forward since Dr. Roland Christensen saw a way to apply his career experience to his passion for firearms. His doctorate in mechanical engineering led the way to his understanding of how to apply carbon fiber to the benefit of shooters. Christensen developed and marketed a carbon-fiber wrapped barrel that has significant advantages over solid-steel barrels in weight and heat dissipation. Christensen hunting rifles are well-known and respected. Not resting on previous success, the company now builds a full range of firearms, including tactical bolt-action rifles. 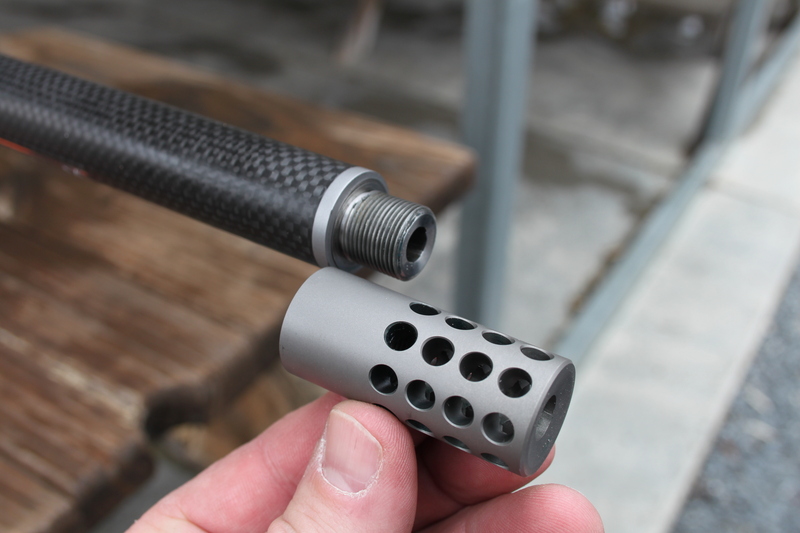 Radial titanium muzzle brake is threaded on the Match carbon-fiber wrapped barrel via 5/8×28 threads. The adage “if you want it done right, do it yourself” typifies Christensen Arms’ endeavors with sporting rifles, 1911 handguns, precision bolt rifles, and AR rifles. I recently evaluated the Christensen Arms take on the precision tactical bolt-action platform as embodied by the Tactical Force Multiplier (TFM) chambered in .300 Win Mag. The same Christensen Arms quality and attention to detail in providing highly accurate, rugged and reliable bolt-action hunting rifles have been turned toward improving the tactical bolt-action. Other TFM chamberings are .223 Rem, .308 Win, and .338 Lapua. I have written several articles covering Christensen AR-pattern rifles and 1911 handguns. It was only natural that, with my favorable impressions of previous items, my interest spiked when I spotted the TFM. Initial bench testing was from Champion pedestal rest and rear bags. Initial 25-yard paper sighting was followed by 100-yard groups. Christensen has chosen to go a different path with the TFM by balancing accuracy, weight, and enhanced cartridge capability compared to heavyweight tactical rifles. One overarching theme with Christensen Arms, stemming from their carbon wrapped barrels, is keeping weight down so as to maximize operator efficiency. The high-stress precision tactical realm is a demanding environment. Christensen is known for their innovative approaches in maximizing a weapon’s performance. Much of this stems from Christensen’s atypical background associated with founder Dr. Christensen and his endeavors in the aerospace industry. The desirable characteristics for a tactical rifle are cold bore zero, repeatable accuracy, effective range, reliability, and handling. Tactically, when not only the shooter’s life is at stake, but also others such as teammates or hostages, there can be no compromise in terms of consistent accuracy. The Christensen TFM is the cutting edge of bolt-rifle technology, combining many innovative features with time-proven accuracy-producing enhancements. The TFM’s distinctive aesthetics immediately put one on notice that this is not an ordinary rifle. Fluted bolt is Nitride coated at 70 HRC for extreme wear protection. Rifle is fed via five-round detachable magazine. 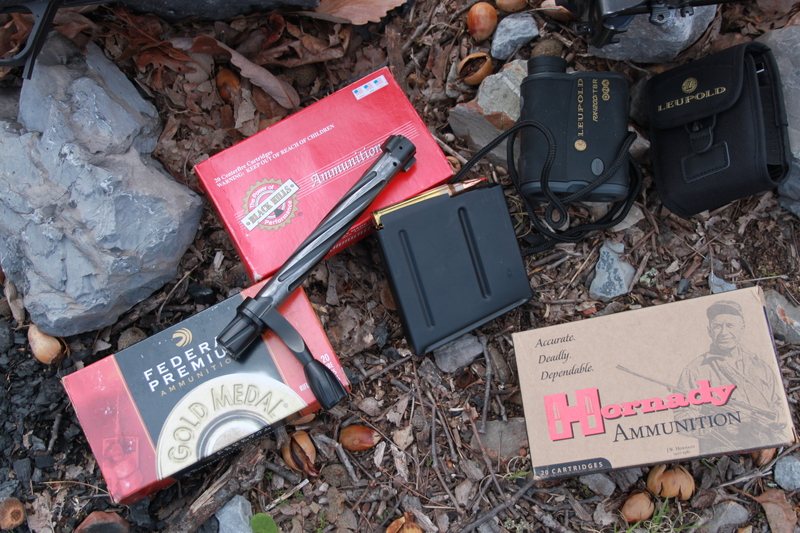 Leupold RX-1200i laser rangefinder supported field testing. The standard Christensen bolt-action is constructed of high-strength 17-4 stainless steel, making it 1.5 times stronger than most receivers. Extraction is accomplished by an M16-style extractor. The TFM is conducive to long-range accuracy due to extremely stiff and rigid design and high quality control during manufacturing. The TFM I evaluated featured the optional titanium receiver for greater weight savings. 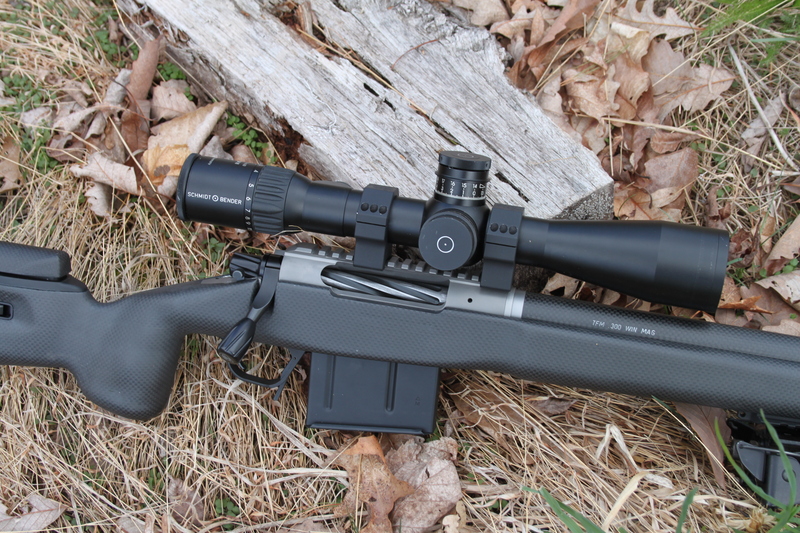 The integrated Picatinny rail has a 20 MOA taper and offers very stable scope mounting. The fluted bolt is Nitride coated at 70 HRC for extreme wear protection. Optional detachable carbon-fiber magazine arrived with TFM. The carbon-fiber stock on the TFM is significantly modified to excel in the tactical realm, with adjustable length of pull and comb height that allow a marksman to custom fit it to individual needs. Christensen has designed the TFM’s stock to align the shooter’s grip so as to facilitate a straight rearward pull of the trigger. A Picatinny rail section under the TFM’s forend is for mounting a bipod or other accessories. A detachable single-column magazine offers a five-round capacity. A Timney trigger comes adjusted at a crisp three pounds. 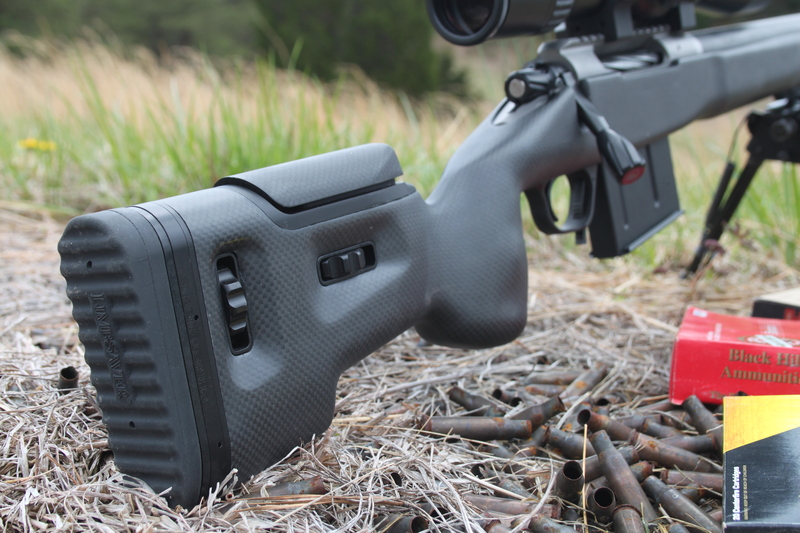 The carbon-fiber wrapped 26-inch barrel is mounted in the Christensen stock secured to the action. These are all integral to the ½-inch MOA guaranteed TFM rifle. A radial titanium muzzle brake is threaded on the barrel via 5/8×28 threads. The TFM rifle weighs only eight pounds. Upon first picking it up, everyone makes the same surprised face because they expect a much heavier rifle based on aesthetics and prior experiences. A tactical rifle weapon system is made up of the rifle, optics, ammunition, and shooter. Christensen carbon-fiber stock on TFM is designed to excel in the tactical realm with adjustable length of pull and comb height that allow marksmen to custom fit it to individual needs. 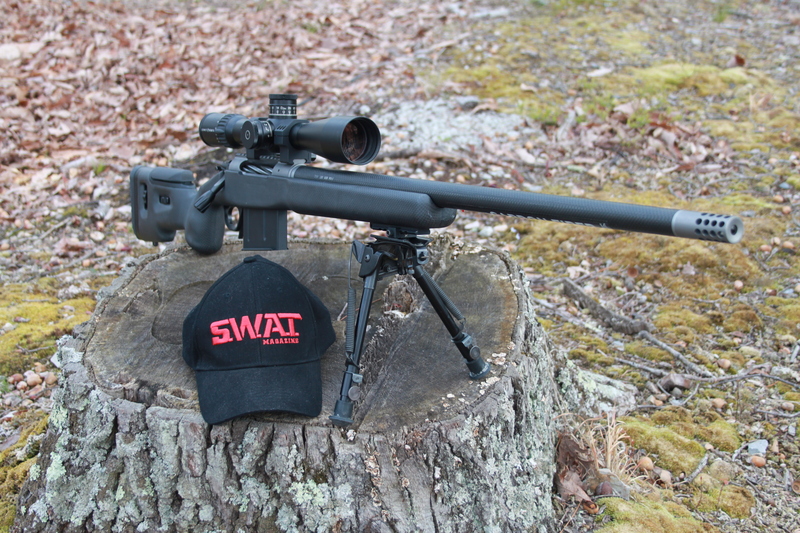 For this evaluation, a Schmidt & Bender 3-20X50mm PM II was mounted on the TFM via AWP rings. In the past few years, Schmidt & Bender has made powerful statements by winning multiple U.S. military optic contracts. Jerry Ricker of Schmidt & Bender pointed out that S&B’s reference list does not stop with the U.S. military. Accuracy International actively promotes fitting the Schmidt & Bender PM II/Military MK II product line as sighting components on their family of sniper rifles by selling S&B optics as package deals with their platform. 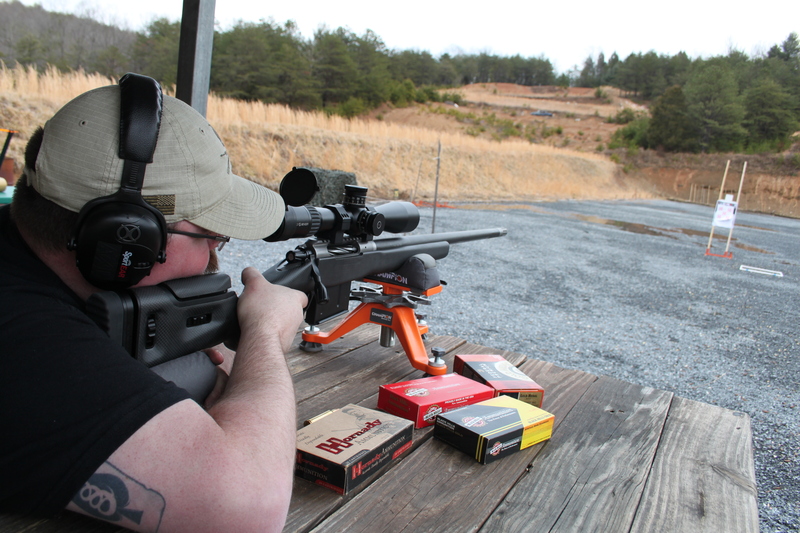 The first requirement of a tactical precision rifle is accuracy. Ammunition used for testing the TFM consisted of .300 Win Mag Black Hills Match 190-grain BTHP, Federal Premium 190-grain Sierra Match King, and Hornady 178-grain A-MAX TAP loadings. The thought process is simple: if these loads do not produce accuracy, nothing will. Prior use of these loads backs up this belief. The TFM shot all the premium loads tested into one MOA or better at 100 yards, with the Federal 190-grain generating near ½-inch groups. Christensen has designed stock to facilitate most efficient pull of Timney three-pound trigger. Bench testing was done from a Champion tripod front rest and rear sand bag. The accuracy figures are based on firing five three-round groups and averaging group sizes. Not a lot of time was spent at the 100-yard range. Three hundred yards and out are the more indicative tests of a weapon system like the TFM. This generates useful ballistic information for the shooter, especially when it comes to elevation and windage data for log books and ballistic calculations. Accuracy out to 300 yards was MOA or better. Another sign of an accurate, dependable rifle is how cold-bore zeros compare over time and if the point of aim shifts after a few rounds heat up the barrel. The Christensen TFM showed no shifts in point of aim, and cold-bore zeros produced fine groups when overlaid together. The TFM’s light weight for a precision rifle translates into a weapon that can be carried afield without fatiguing the user and is easier to adapt to non-standard firing positions—even offhand if needed. I have evaluated tactical rifles weighing significantly more than the TFM and, while accurate from a fixed prone position, all were challenging to shoot in any other position, even if employing shooting sticks or other means of support. The 26-inch barrel is a solid compromise, balancing weight, velocity performance, and field handling for the precision marksman. The TFM had no problems with shifting points of aim, even when firing five aimed rounds in relatively rapid fashion. Let’s face it, the majority of tactical precision rifle scenarios will not require this many rounds fired during one mission or call out, especially for law enforcement. 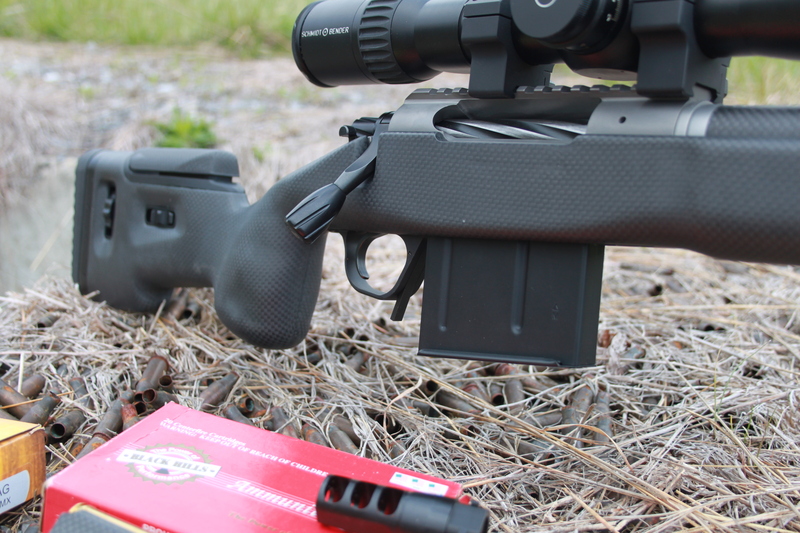 Christensen Arms TFM is a prime candidate for anyone considering a precision bolt-action rifle. After testing innate accuracy from the bench, field tests were performed at Echo Valley Training Center (EVTC). This consisted of shooting prone off a bipod or pack from EVTC’s fixed firing positions overlooking a multi-stepped berm arrayed with various targets of opportunity. 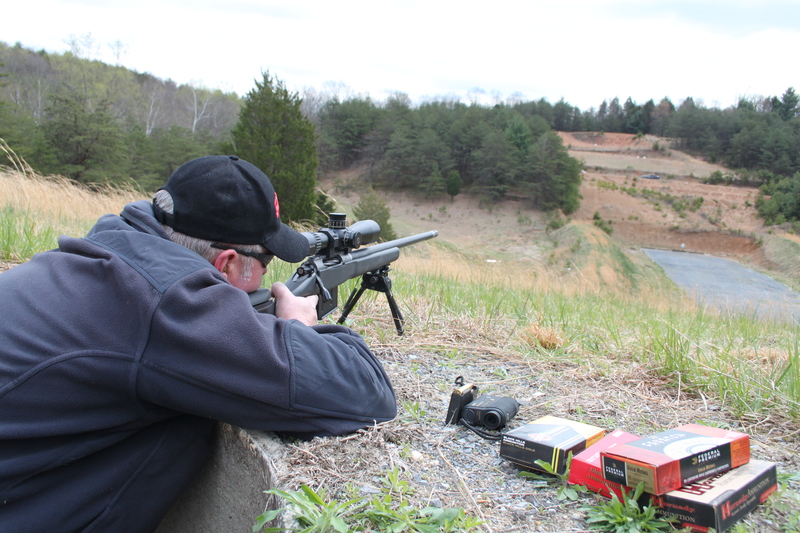 I performed some of my normal field tests, including shooting at clay pigeons at 300 yards. I worked the bolt and acquired the next target as quickly as possible. The Christensen brake, combined with the ergonomic stock, proved potent. Other range work consisted of shooting B-27 man-targets out to 500 yards. The TFM’s accuracy plus the clear, powerful Schmidt & Bender optic made center-mass shots routine and head shots feasible on the stationary targets. Echo Valley Training Center’s prepared dug-in firing positions are unique features facilitating a user standing behind Christensen TFM while maintaining advantage of prone-like support. Another of my favorite drills encompasses the use of MGM Targets steel silhouettes with flip-open head and center chest plates. The goal is to “open” and “shut” the plates as quickly as possible. The EVTC range has two such steel targets placed at 200 and 300 yards. The Christensen TFM performed remarkably during this drill as well. Extremely accurate range rifles do not always translate into effective tactical rifles due to durability issues that arise when taken afield. After firing over 100 rounds, I came to fully appreciate the TFM’s ergonomics, especially firing from the prone position. The radial muzzle brake is very effective at taming recoil. While my shoulder is not a scientific instrument, the lightweight .300 Win Mag TFM felt like a .270 Win. The brake was quite effective, allowing for quick follow-up shots and, if the shooter was in a stable shooting position, spotting his own hits was possible. This makes it easier to fire multiple rounds accurately and quickly. The TFM’s oversized bolt handle further supported the ability to fire aimed rounds in quick succession based on spotter feedback or if in a target-rich environment. Schmidt & Bender 3-20x50mm PM II was mounted on Christensen Arms TFM with AWP rings. For most missions, especially anti-personnel, the .300 Win Mag chambered Christensen TFM is suitable for a wide range of sniping and tactical applications. It provides a ballistic advantage over most adversary weapons encountered. 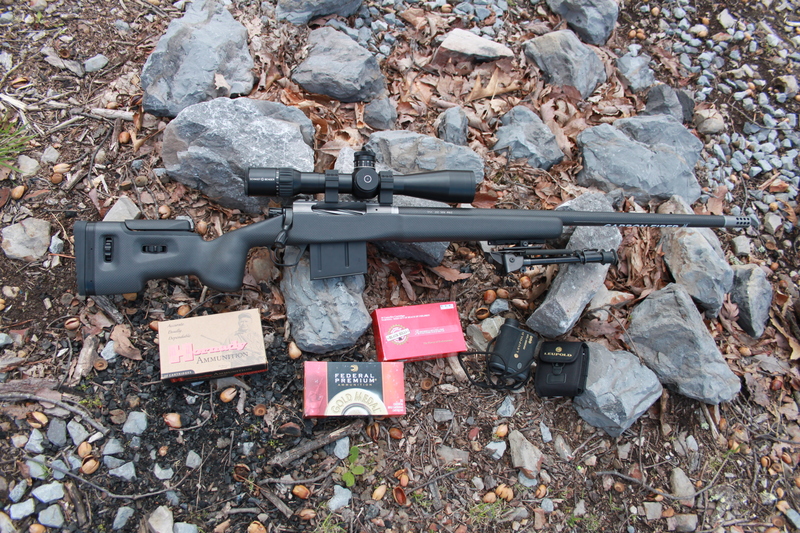 The .300 Win Mag in such an accurate platform that the TFM can extend accurate fire beyond 1,000 yards, filling the gap between the .308 Win and .338 Lapua. The TFM in .300 Win will prove a popular Magnum chambering based on established acceptance in tactical circles and the wide range of premium factory ammunition available. Todd Burgreen has been a freelance writer for 20 years, with articles appearing in several publications. He has attended numerous personal defense, team tactics, firearms, and driving courses over the years from some of the most influential training personalities and schools in the country.